The walking has been great in this mild weather especially now that it’s not so icy or slippery out! This new wee bit of snow is much better than the ice we had two weeks ago. Nicholas and I have been enjoying the trails at the top of Allison Drive. We’ve met a few more nice friends there including Golden Doodles, Golden Retrievers, Spaniels and more. All nice friendly dogs. Nicholas had a ball with the Golden Doodles and the Retriever as they love to run and are fast like him. I’m hoping one of these days I bump into a friend my size like a Bernese Mountain Dog, Newfoundland, St Bernard or something like that. A guy that’s really friendly, calm, loving and more laid back like me, who enjoys meandering along the trails not looking to race around wide open like a banshee, it’s just not my style. I don’t think I’ve ever bumped into a big dog on the Allison/Spy Glass trails. Hey big guys and gals, if you’re in the neighbourhood come on out! My little cousins Myra and Lucas, the toy Pomeranians, are doing well in Florida. The weather is lovely this week but they went through a gale last week with high winds, hard rains and a lot of thunder and lightning! Glad Nicholas and I weren’t there, we don’t like thunder and lightning, not one little bit. Our Auntie Blue says that we’ve never seen thunder and lightning like they get in central Florida! She doesn’t like it much either. When it happens here Nicholas gets under the bed. Big Buddy won’t fit under the bed, hahahaha! But I sure can jump in the bed and Mama puts the covers over my head! Did you see my pic featured on the National Weather Network earlier this week? 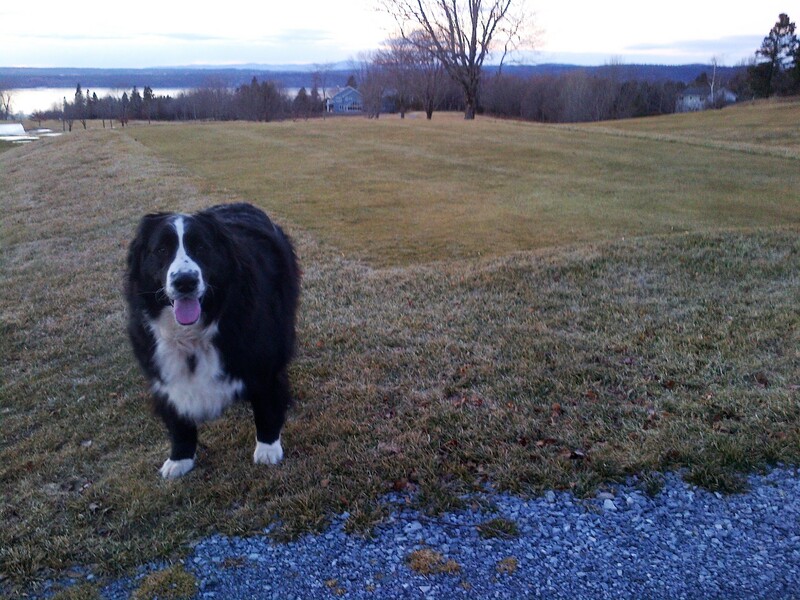 We were out on the golf course with not a spec of snow to be seen and Mama snapped my picture. It’s had lots of hits. So unusual to see such mild weather this time of year! Here is the pic that was featured. If you are out and about this weekend please drop by and say hello to Candace at her open house at 140 Chelsea Drive, Quispamsis. This is the perfect family home with open concept, finished basement, three bedrooms up, main floor laundry, family room, nice flat yard and two car attached garage. 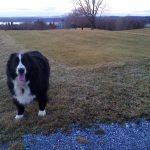 Best of all the price was just dropped to $299,900 and it has an awesome view of the Kennebecasis River! Hope to see you there. Have a great weekend, drive safely and stay warm!